Also called Green Pea, Green Garden Pea or English pea. The green garden pea (Pisum sativum var. sativum) is a cool-season annual crop grown in many parts of the world for its immature green seeds. In the tropics it grows well in cooler, high altitude areas. In general garden peas can be divided into low-growing and vining (climbing) cultivars. Many cultivars reach maturity in about 60 days after planting and are harvested when the peas are still green and sweet. The pods are tough and are not palatable. There are numerous pea cultivars grown for specific markets. Some cultivars are smaller and sweeter and others a larger and starchier depending on the intended end use. Some cultivars are grown specifically for freezing or canning and others are grown to be eaten fresh. The cultivar ‘Sweet Baby Peas’ ( Petit Pois Sucreés), french for sweet little peas, are tiny and sweet. 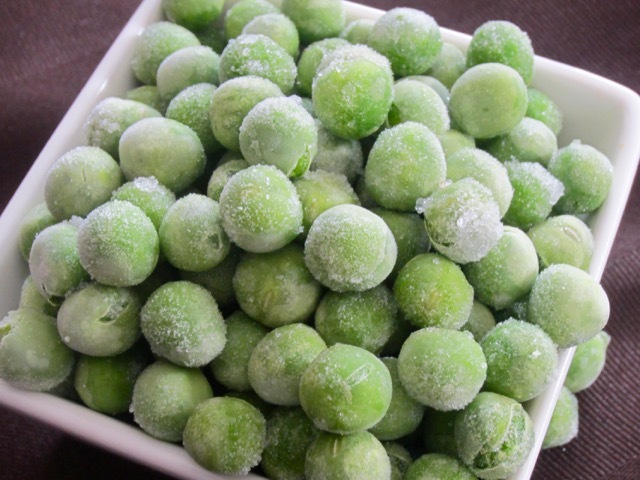 Frozen peas retain their colour, flavour and nutrients better than canned and are low in sodium. Most canned peas have added salt and sugar (The Wellness Encyclopedia). Green Peas are high in fibre, vitamins and important minerals such as iron, magnesium, phosphorus and zinc. Freshly harvested sweet peas are eaten raw in salads or lightly cooked. 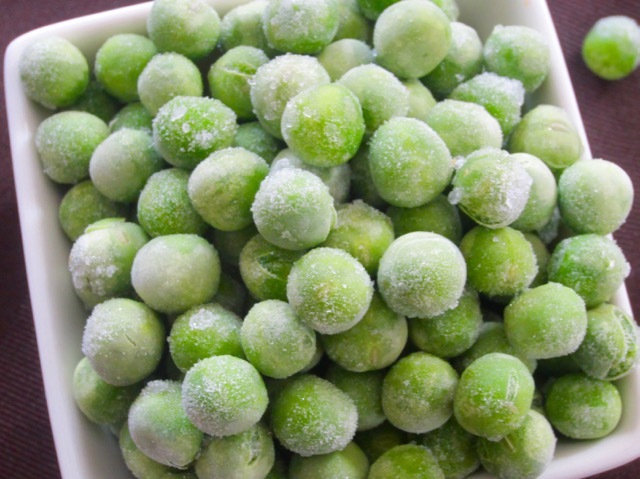 Frozen peas can be thawed and used raw in salads and uncooked dishes. The young shoots taste like fresh peas, are exceptionally tender and can be used in salads. In India, fresh peas are used in cooking Aloo Matar (curried potatoes with peas) or Matar Paneer (paneer cheese with peas). 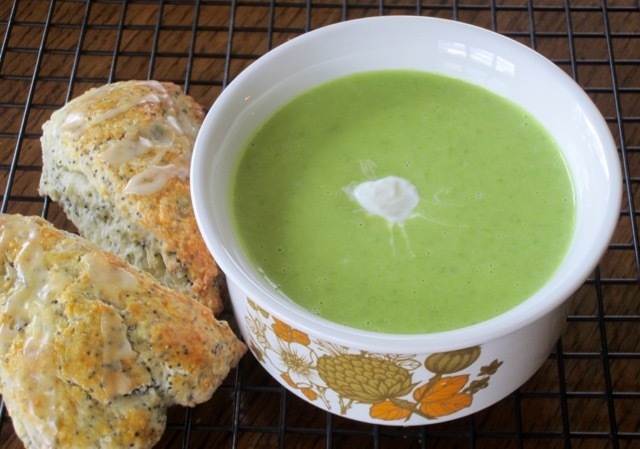 Frozen peas can also be used. 500g (1 Ib) of green peas in pods yields about 1 cup. Rinse and shell the peas just before cooking. Fresh peas are best better eaten fresh. 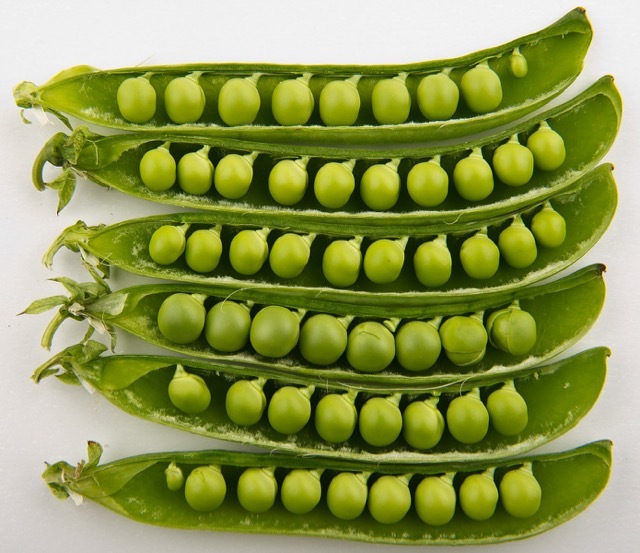 The name “peas” can be very confusing because it is also used to describe other edible seeds from leguminous plants such as chickpea (Cicer arietinum), pigeon pea (Cajanus cajan) and cowpea (black eyed pea) (Vigna unguiculata).